What a wicked Halloween half term we had! Spooky fun was had by all during our Curious Creatures Halloween, which saw the animals enjoying some pumpkin treats, whilst our visitors tried out a few tricks! Bug-eating proved a very popular pop-up event, with many visitors being exceptionally brave and trying our veritable feast of creepy crawlies, such as termites, crickets, buffalo worms and meal worms. The meal worms were BBQ flavoured and were very tasty – honest! Well done to the few who boldly tried all of the bugs on offer, even those who tried to take the packets home! It’s the food of the future after all, we should all be eating bugs – farming and rearing insects is much better for the environment than traditional livestock – but maybe next time we should try chocolate-covered ones. Chocolate-covered ant Advent calendar anyone? Some of our insect cuisine, clockwise: crickets, buffalo worms, BBQ mealworms and flying termites. 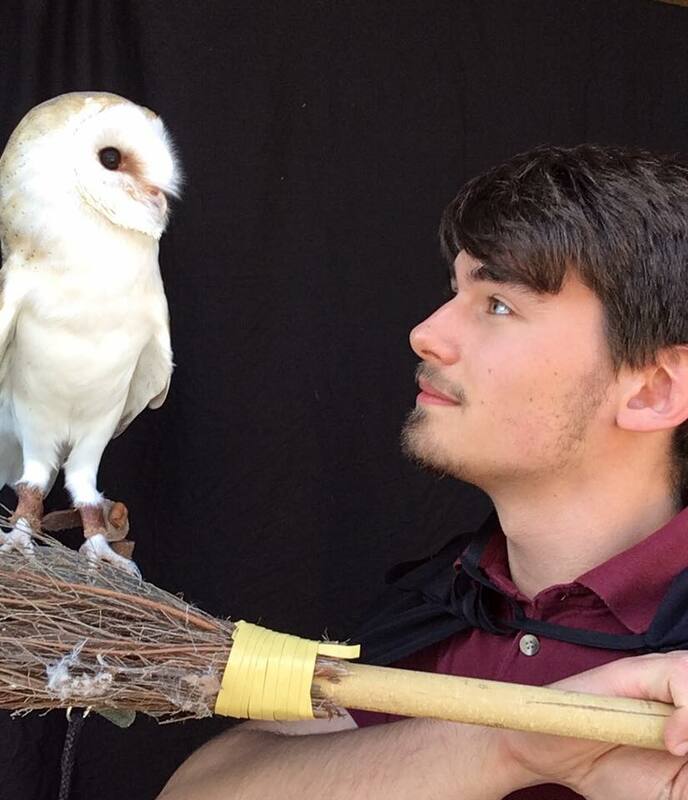 Equally popular were our owl photos, where visitors both young and young-at-heart could dress up in wizard or witch costumes and live out their Harry Potter fantasies with the help of our barn owl Fezziwig! Everyone had a great time meeting the beautiful young owl and casting spells at the camera of a family member. Our education team had slightly too much fun – I didn’t want to take my cape off! Our riddle quiz allowed further immersion into the wizarding world; it consisted of clues derived from quotes from the Harry Potter books and the Fantastic Beasts textbook that also described animals in the Nature Centre. Well done to all those who figured out the answers – some of them were really rather tricky! Lastly, we were amazed at the artistry and creativity in the entries to our scary animal drawing competition. What fearsome imaginations some of you have! On the realistic side, we had bloodsucking vampire bats, jagged-toothed crocodiles and hideously venomous snakes and amongst the imaginary creatures we found poisonous wallabies, strange star-shaped creatures that live for millions of years and animals with so many wings, teeth, horns and claws that you’d lose count, just to name a few. Well done to our four winners, a phone call or email will be coming your way! We’ll have to raise the bar for our next competition!